Weight and Total Length Weight 63.5 grams, Length 74.7 cm. Balance point from tip of winder - 262 mm. 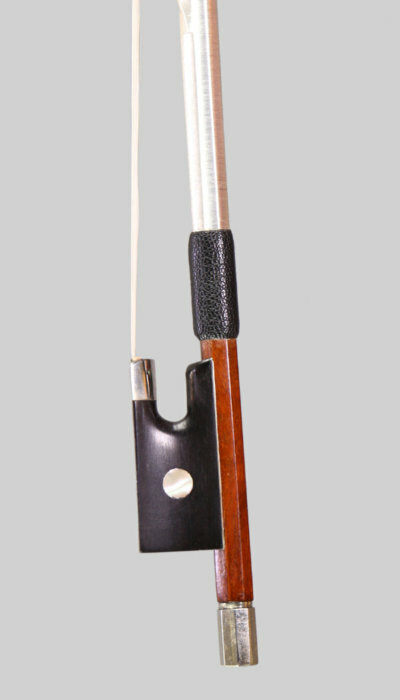 A fine silver mounted bow by François Lotte. 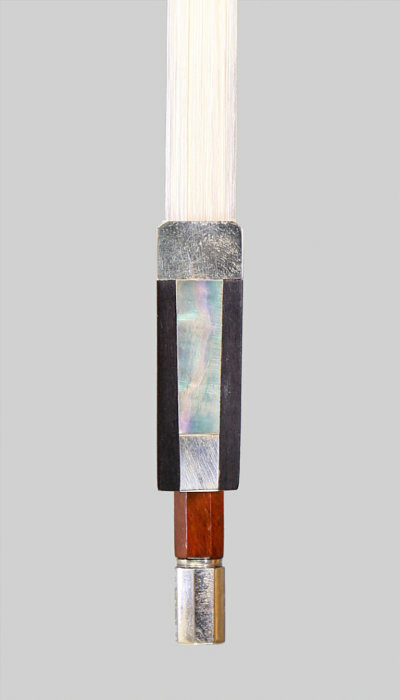 With a strong pernambuco stick of close grain and finished with a chestnut brown patina. In excellent condition, just very minor blemishes and a button from a later period. 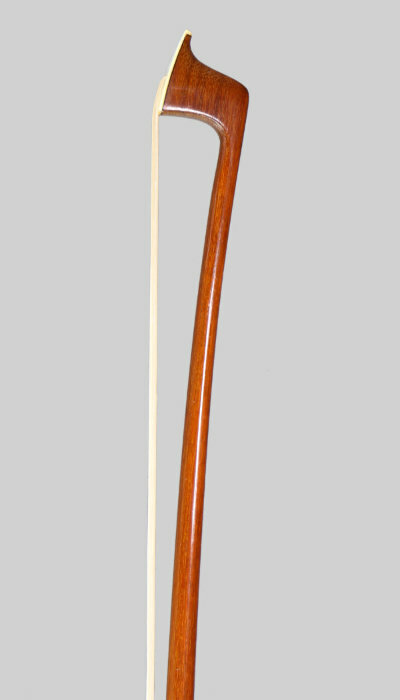 This bow was made around 1935. A very nice bow, recommended!